1095 Long Valley Avenue, South Lake Tahoe CA offered at $374,900Wonderful home in desirable Bijou Pines a central in-town location close to Heavenly Village, ski resort and casino corridor. This home is a Great fit for a primary residence, second home or investment property. The large living room provides a fantastic gathering space. The floor plan has a kitchen, living room, laundry room, bedroom and full bath on the main floor and 2 bedrooms, bonus...Continue Reading! 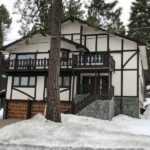 555 West Tahoe Keys Boulevard 2, South Lake Tahoe CA offered at $315,000Rare find in exclusive Tahoe Keys! This spacious studio condo is completely furnished and move-in ready. 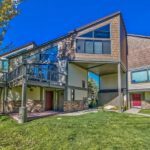 An open living design, this unit includes newer carpeting throughout, new kitchen flooring, easy access to the bedroom loft and Tahoe views of the 2nd floor deck. The living room has a gas fireplace and the bathroom area includes a stackable laundry unit. Tahoe Keys amenities offer private beaches, tennis courts,...Continue Reading! Price Changed to $359,000 in South Lake Tahoe! 3683 Larch Avenue, South Lake Tahoe CA offered at $359,000Modern features in a Fantastic Tahoe Vintage Cabin with garage. You can have it ALL in this Great cottage style 2 bedroom cabin with a converted shed that provides an additional sleeping area in the Heart of South Lake Tahoe. Located a few blocks from Lake Tahoe, restaurants and shops. OR, drive 3 minutes to the Heavenly Lodge for a day of skiing. Enjoy the beautiful backyard that...Continue Reading! Price Changed to $434,000 in South Lake Tahoe! 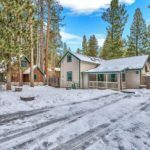 760 Tehama Drive, South Lake Tahoe CA offered at $434,000Do you want to escape the hustle of noisy city life? Well, take a look at this home. Location, Location, Location! Enjoy a true mountain lifestyle experience at this wonderful North Upper Truckee home. United States Forest service land is on the side and across the street creating a spacious feel and privacy from neighbors. The property and the vacant land have beautiful boulders...Continue Reading! Price Changed to $444,000 in South Lake Tahoe! 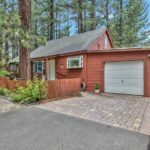 760 Tehama Drive, South Lake Tahoe CA offered at $444,000Do you want to escape the hustle of noisy city life? Well, take a look at this home. Location, Location, Location! Enjoy a true mountain lifestyle experience at this wonderful North Upper Truckee home. United States Forest service land is on the side and across the street creating a spacious feel and privacy from neighbors. The property and the vacant land have beautiful boulders...Continue Reading! Price Changed to $364,900 in South Lake Tahoe! 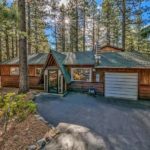 3683 Larch Avenue, South Lake Tahoe CA offered at $364,900Modern features in a Fantastic Tahoe Vintage Cabin with garage. You can have it ALL in this Great cottage style 2 bedroom cabin with a converted shed that provides an additional sleeping area in the Heart of South Lake Tahoe. Located a few blocks from Lake Tahoe, restaurants and shops. OR, drive 3 minutes to the Heavenly Lodge for a day of skiing. Enjoy the beautiful backyard that...Continue Reading!